International Copyrights & Patent Holding Nutstree Group of Companies. These conditions of use are applicable to the nutstree studios websites. By using this website, you agree to accept and comply with these conditions of use. This website is managed by Nutstree Studios. For additional information, you can send an e-mail via the contact page. The texts, drawings, photos, films, images, data, trade names, domain names, brands, logos and other components of this site are protected by intellectual property rights and belong to Nutstree Studios or other parties. Information provided on or via this website may not be stored (except as necessary for viewing the website), reproduced, modified, made public, distributed or transmitted, sold, or otherwise conveyed to a third party without the prior written permission of Nutstree Studios, nor may any rights in this regard be granted to a third party without such permission. not to use the website for posting or transmission of material for promotional or publicity purposes without requesting the prior permission of Nutstree Studios for such posting or transmission, except if such posting or transmission has been requested by the recipient. Nutstree Studios does not collect any personal data unless it is provided on a voluntary basis. 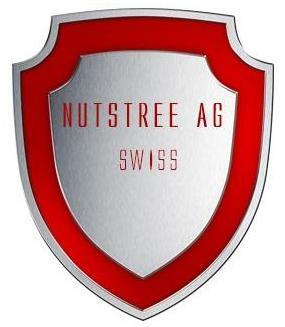 By completing and submitting a participation form or sending an e-mail message, the visitor grants Nutstree Studios permission to store his or her personal data in a database of Nutstree Studios for the purposes of automated user profiling, customer management, market research, and postal direct mail activities. For these purposes, the provided data can be forwarded to enterprises having a contractual relationship with Nutstree Studios. You are entitled to view the personal data concerning you and correct it if necessary. You are entitled to object, at no charge, to processing of your data for direct marketing purposes. You can direct a request for viewing or correcting your data, or an objection to processing of your data, to info@nutstreestudios.com. Your electronic contact data can be used by Nutstree Studios for direct e-mail marketing if you have previously agreed to such use. However, your prior agreement is not required if Nutstree Studios desires to use electronic contact data previously acquired by supplying particular products or services for direct e-mail marketing of similar products or services of its own. You are entitled to view your electronic contact data and correct it if necessary. You are also entitled to object, at no charge, to processing of your electronic contact data for direct e-mail marketing purposes. You can direct a request for viewing or correcting such data, or an objection to processing of such data, to info@nutstreestudios.com. Nutstree Studios can collect anonymous or aggregated data of a non-personal nature, such as your browser type or IP address, the operating system that you use, the domain name of the website via which you arrived the Nutstree Studios website, and the domain name of the website you went to on leaving the Nutstree website. The information provided in or via this website may contain a wide variety of imperfections. Nutstree Studios does not accept responsibility for the suitability, reliability, timeliness or accuracy of this information. The information is provided and reproduced without any form of guarantee whatsoever. Nutstree Studios also cannot be held liable for any viruses that may be present on the site despite precautionary measures that have been taken, and it refuses to accept any liability for any form of loss or damage that can be caused by such viruses. Nutstree Studios expressly reserves the right to alter the information on the site at any point in time. This website may contain hyperlinks to websites or web pages of third parties or other parties, or it may refer to such sites or pages in another manner. Nutstree Studios has no say over the content or other features of those websites or web pages and is in no case liable for their content or features. Placement of links by Nutstree Studios does not in any way constitute implicit approval of the content of such websites or web pages. Creating hyperlinks to the Nutstree Studios.com or other Nutstree Companies websites is only allowed if such hyperlinks lead to the home page of the site. Deep linking is not allowed without the prior written agreement of Nutstree Studios use of this site in sites or components of sites of third parties (for example, by means of inline linking, framing, or in any other manner) is also prohibited.